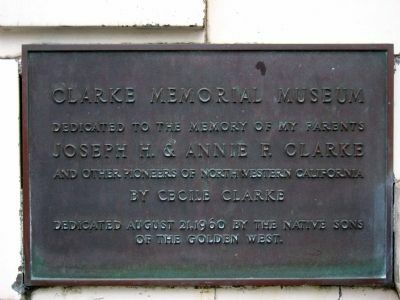 Erected 1960 by Native Sons of the Golden West. Location. 40° 48.214′ N, 124° 10.047′ W. Marker is in Eureka, California, in Humboldt County. Marker is at the intersection of E Street and 3rd Street, on the left when traveling north on E Street. Touch for map. 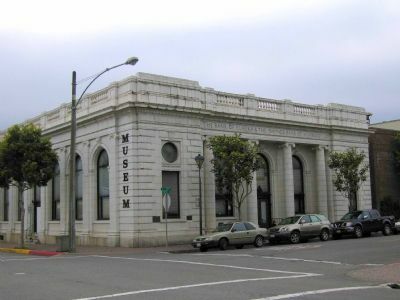 Marker is at or near this postal address: 240 "E" Street, Eureka CA 95501, United States of America. Touch for directions. Other nearby markers. At least 5 other markers are within walking distance of this marker. 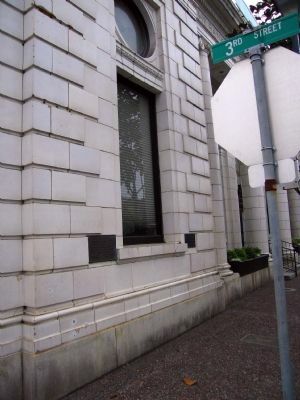 Needs/Williams Building (a few steps from this marker); Eureka (within shouting distance of this marker); Eureka Business College (within shouting distance of this marker); Ritz Building (about 300 feet away, measured in a direct line); Italianate Architecture (about 300 feet away). Touch for a list and map of all markers in Eureka. Plaque is on the left of the window. 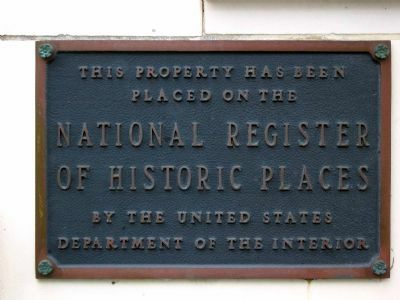 National Registery Marker is on the right of the window. More. 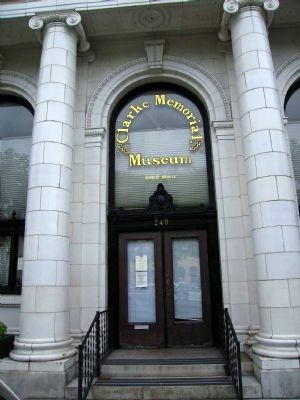 Search the internet for Clarke Memorial Museum. Credits. This page was last revised on June 16, 2016. This page originally submitted on June 20, 2007, by Karen Key of Sacramento, California. This page has been viewed 1,917 times since then and 4 times this year. Last updated on July 2, 2007, by Karen Key of Sacramento, California. Photos: 1, 2, 3, 4, 5. submitted on June 20, 2007, by Karen Key of Sacramento, California. • J. J. Prats was the editor who published this page.